In the last year, hundreds of flight attendants have said that the uniform cause health problems, according to a new report from the Guardian, which spoke to employees and reviewed messages in a private Facebook group of over 2,000 flight attendants. This follows similar complaints from American Airlines, Virgin Blue, and Alaskan Airlines; in the case of the Alaskan Airlines flight attendants, a study led by Harvard Flight Attendants Health Study Group found that the health problems—like skin problems, trouble breathing, and insomnia—only went away when the company agreed with the Alaskan Airlines union’s demands to offer new uniforms. 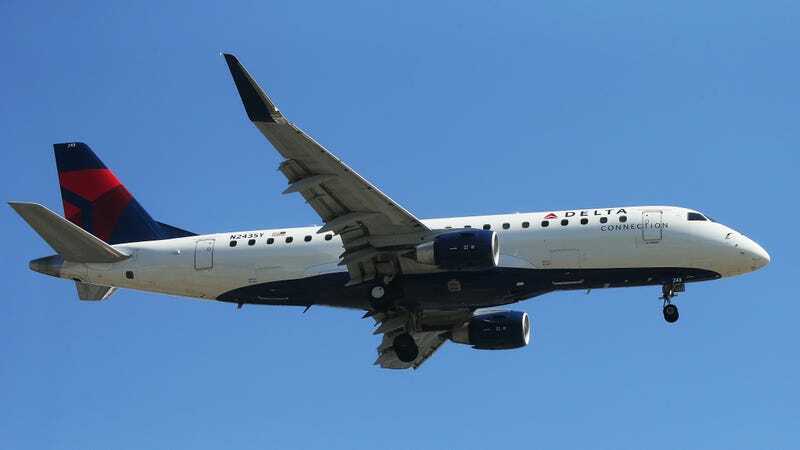 Delta Airlines flight attendants are not unionized, so some of those who spoke to the Guardian said they were afraid speaking out would lead to retaliation at work. Some employees said that Delta Airlines said they could go on short-term disability insurance if they didn’t want to wear the uniforms, which give them less pay and force them return to work or quit in a year’s time. My two cents: Unionize Delta Airlines flight attendants. Since we began redesigning the uniform three years ago, we have been intentional to ensure employee input and transparency every step of the way. We want our employees to be able to safely wear the new garments with pride. To reinforce this commitment, Delta actively sought out employee input, and conducted wear testing, allergen testing and dye testing. Although Delta and Lands’ End conducted in-depth testing during every step of development, a small number of employees have reported skin irritations. While less than one percent of employees in the new uniform program have reported issues, Delta takes this very seriously and is working directly with employees on solutions that meet their individual needs.